At Onyva, our client feedback mentions we listen intently to needs, deliver creative solutions, grasp high-tech concepts quickly, provide strategic input—so clients refocus beyond their product or innovation to concentrate on reaching customers, and are honest about what we will achieve. Our specialism is the technology sector. Seema graduated with a PhD., from UCL in molecular neuroscience and has a research background in neuroscience, biochemistry and proteomics. 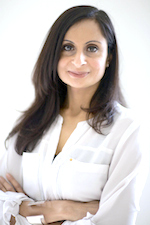 A combination of being technically versed, a natural creative drive and over fourteen years of commercial marketing experience, allow Seema to develop campaigns that are customer led and deliver on business goals. Her commercial experience includes running marketing and events programmes for the research journal Science, as European Programme Director, establishing global scientific campaigns and new product lines at Abcam Plc., and related roles in pharma, biotech and software fields. Seema is skilled in managing teams and has a specialism in technical product marketing, campaign management and unique content creation. Crucially, she is a people person at heart, that focusses on finding the right solutions for clients and leading campaigns whilst maintaining a data-driven approach to marketing. 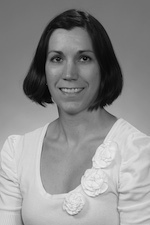 Katinka received her PhD in Human Genetics from the University of Chicago where she developed a protein microarray to enable high-throughput allergy phenotyping of individuals. Using these data, she performed linkage and association studies to study the genetic basis of allergy. After completing her PhD, she worked at Abcam Plc., in Cambridge, UK as a Marketing Coordinator for their Immunology and Neuroscience product ranges. She is a talented freelance copywriter and Marketing Manager at Genomics and Pathology Services at Washington University in St. Louis. Katinka is experienced in taking the lead on marketing communication and is adept at creating engaging, technically accurate content for all audiences.She also has training in brand and design. With a background in editorial design and marketing and a passion for layout, it’s no surprise that Nathan’s strengths are in print. Nathan has worked for publishing houses in his home country of Australia, as well as one of the world’s leading travel groups here in the UK. He has worked on a range of marketing collateral from brochures, posters, direct mailers and email templates to logo branding, web re-designs, exhibition stands and store fit outs. Nathan has successfully produced a wide range of client material from lifestyle content to travel, retail and more recently, biotech, life sciences and healthcare companies. His flair for design and attention to detail can be seen in his creative, engaging content and impactful visuals and graphics.